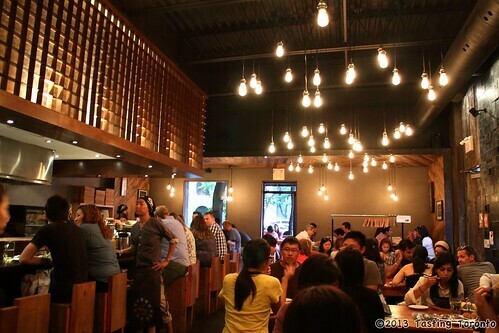 Here are some photos from Guu Izakaya, on Church St., just north of Gerrard. 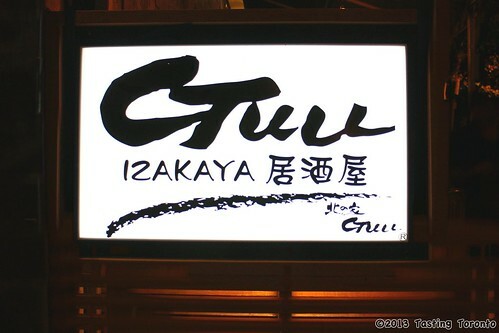 The best way to describe it would be Japanese tapas. 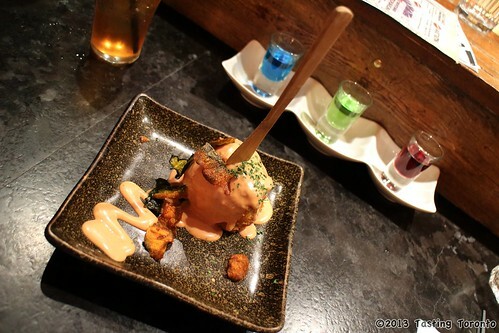 It's essentially a bar with a lot of small tasty food items to go along with the drinks. 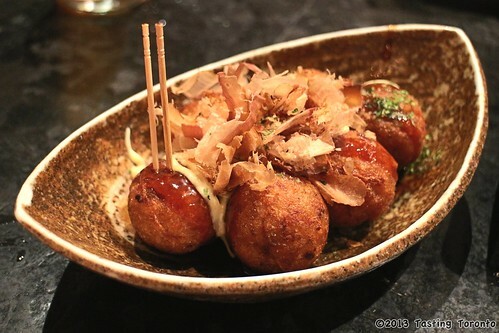 A couple of interesting items we liked were the deep fried pumpkin croquette with a boiled egg inside, and of course my fav Japanese street food, Takoyaki a.k.a. deep fried octopus balls. Trigliserida VS Kolesterol, Apa Bedanya? must keep the spirit and should not give up with the circumstances!